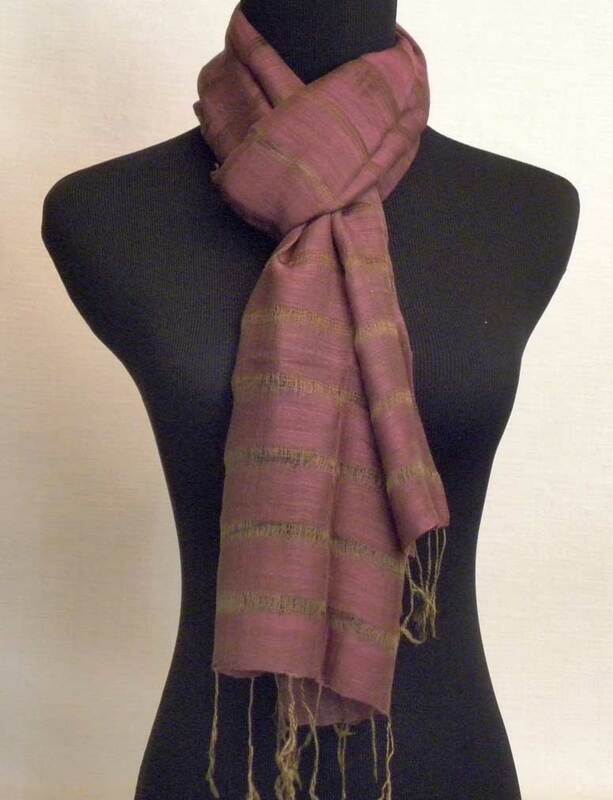 This brown raw silk/hemp blend scarf has a natural finish and an extremely soft and supple feel. 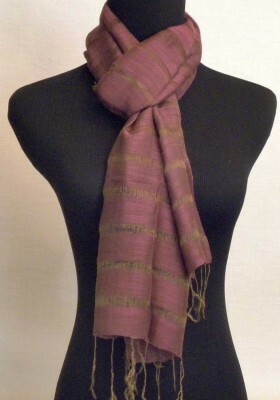 This scarf is two tone with olive tones running through the brown silk. The colors are wonderful for fall. 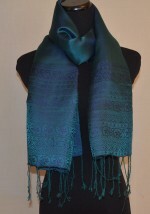 The blend of silk and hemp results in a scarf with a casual feel, but terrific style. It will be a wonderful addition to your wardrobe. 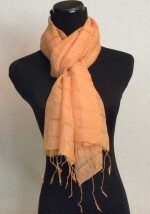 Just grab the scarf, wrap it around your neck and your outfit will be complete. 26″ wide x 70″ long, Blend of Raw Silk and Hemp.